The second annual Hero Games obstacle course and 5K walk, run and roll will take place 9 am to noon on Saturday, Oct. 18, at Secret Lake Park in Casselberry, Fla. All proceeds from the games will go directly to the Wheelchair Foundation. The second annual Hero Games obstacle course added a 5K walk, run and roll to its 2014 family fun lineup of live music, food trucks, and prizes. The games run from 9 am to noon on Saturday, Oct. 18, at Secret Lake Park in Casselberry, Fla.
Every Hero Games event supports raising awareness and funds for the Wheelchair Foundation, which has provided more than 950,000 wheelchairs to those in need - from local Veterans Administration hospitals to rural villages around the world. All of the proceeds from the Hero Games are donated to the foundation for wheelchair assembly and delivery. A fun adventure for the entire family, the Hero Games’ obstacles are located inside Secret Lake Park, nestled in the heart of Casselberry, and its just-for-fun 5K route meanders through the surrounding lakeside area. Participants can set their own pace, making the Hero Games suitable for all ages and fitness levels. While the event is open to all ages, minors must be accompanied by a parent or guardian. Anyone interested in participating can register online at http://www.TheHeroGames.com as well as on the day of the event. Registration is only $35, and those who donate $150, the cost of creating and sending a single wheelchair to someone in need, can participate for free. All participants will receive a t-shirt and the opportunity to win several prizes - including a brand new paddle board valued at $800. The Hero Games is a non-profit community event funded by sponsors and organized by passionate and caring volunteers. Several local businesses took it upon themselves to coordinate and pool resources for the Wheelchair Foundation last year - birthing the first Hero Games. Spearheading that effort both this year and last, NuView IRA has appointed Mandi Howell, its senior transactions associate, as chairman of the Hero Games for 2014. Donations are accepted on the website or, alternatively, can be mailed to 1064 Greenwood Blvd., Suite 312, Lake Mary, FL 32746 accompanied by the sponsorship form found on the website. 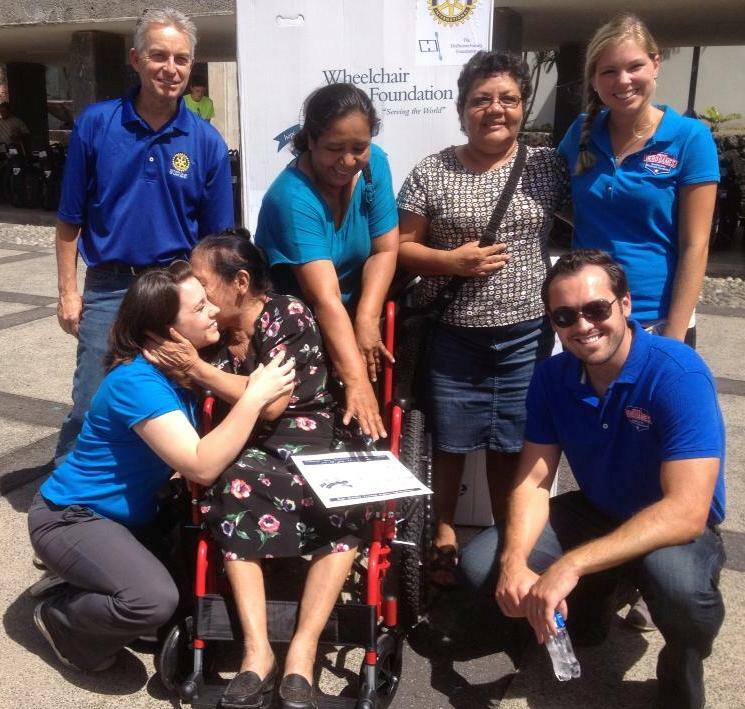 To learn more about the Wheelchair Foundation and its amazing success in providing the gift of mobility, visit http://www.WheelchairFoundation.org.